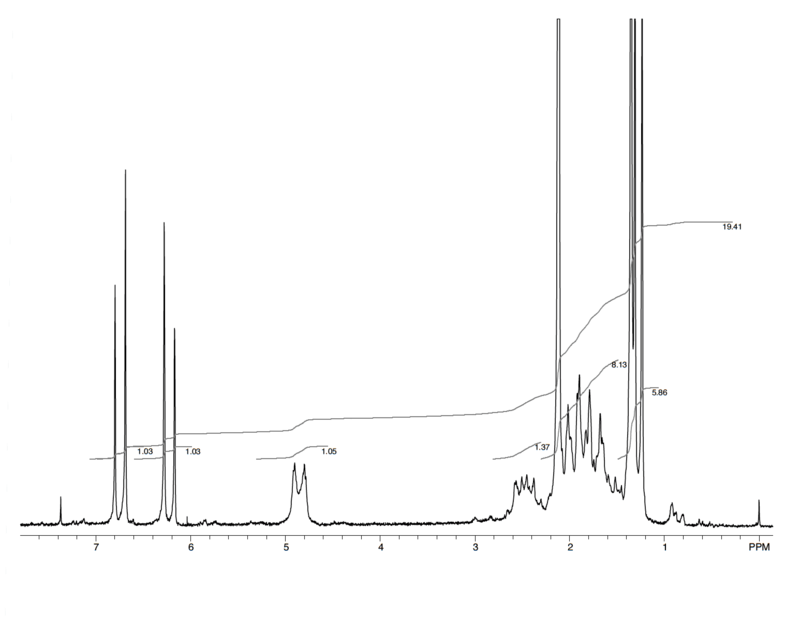 1H NMR Spectrum of Santonin, 100 mg in CDCl3, acquisition time 1 minute. © Copyright Anasazi Instruments, Inc. 2019. All rights reserved.